MxHero's Mail2Cloud product suite now helps users and enterprises to store, collaborate and secure email using Microsoft OneDrive for Business cloud storage. Mail2Cloud will also afford IT administrators the option to replace standard email attachment management with OneDrive for Business for greater email security, productivity and adoption. MxHero, a leading provider of email and cloud storage convergence technology, today announces the integration of Microsoft OneDrive for Business into its Mail2Cloud product suite. Companies and end users will now be able to utilize the cloud storage service across all Mail2Cloud apps, enabling features like OneDrive for Business based email archiving, automatic storage and organization of every email attachment and generally enhanced email productivity. 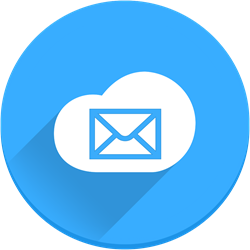 Mail2Cloud with OneDrive for Business integration allows individuals and companies to use Microsoft’s cloud storage service as a powerful email archive and e-discovery platform. By adopting Mail2Cloud for email archiving, organizations realize a range of benefits. First, companies can significantly reduce costs associated with maintaining legacy archiving solutions by taking advantage of highly competitive storage and fully managed cloud storage infrastructure. Furthermore, as companies consolidate their email data to OneDrive for Business, they utilize the service’s strong security and simplify their internal operations by reducing the number of systems that need to be protected and maintained. Mail2Cloud will also afford IT administrators the option to replace standard email attachment management with OneDrive for Business for greater email security, productivity and adoption. With this option, all attachments sent and received will be automatically uploaded and delivered as OneDrive for Business file share links. Users can now rapidly find all files, whether sent or received, in file storage instead of searching through their email inboxes. The integration is completely transparent and requires no end user software or training and works across all devices and email programs. In addition, the integration of email attachments with cloud storage provides a powerful mechanism through which IT administrators can accelerate cloud storage adoption. “MxHero is thrilled to be supporting OneDrive for Business in our Mail2Cloud product suite. OneDrive for Business is widely used by business users and is therefore an important market to address,” says Alexis Panagides, CEO, mxHero Inc.
“We’re pleased to see MxHero’s integration of OneDrive for Business within its Mail2Cloud product. Microsoft offers enterprise customers a strong set of offerings, including OneDrive for Business, and this integration allows customers to get more done in the workplace,” stated Rob Howard, director, Office 365 Ecosystem, Microsoft. For more information about Mail2Cloud for OneDrive for Business visit at http://mxhero.com.